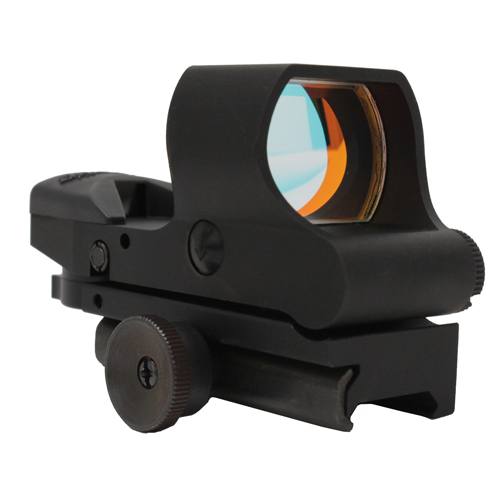 The HGM2 and HGD2 are the next generation reflex sights from AimShot. With a more rugged body and lens the HGM2 and HGD2 are perfect for highpowered rifles and durable enough for everyday use. The shaded 34mm reflex lens provides a sharp image in all light conditions and is suitable fro rapid firing and tracking moving targets. Completely parallaxfree with unlimited eye relief. Easily switch between four reticles with a flip of a switch. 10 hours battery life.